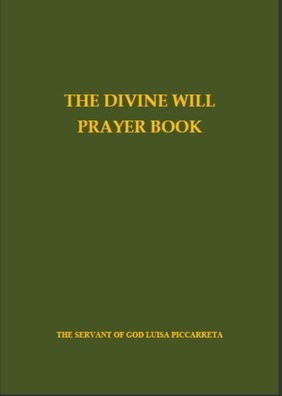 This book, dictated by the Virgin Mary to Luisa, is the quintessential work for knowing how to enter into and Live in the Divine Will. * we are depleting our stock of the "first edition" of this work for a price of $5.00 + S/H. For this price, kindly ask for the "first edition". ​This NEW SECOND EDITION, dictated by Our Lord Jesus Christ to Luisa, bears with it some of the greatest indulgences one might hope to ask for. Jesus has promised protection to those persons and places where these Hours are recited. This NEW THIRD EDITION of the Divine Will Prayer book is a treasure trove for you and your loved ones, composed especially for these times! This work contains "The Hours of the Passion" book, "The Virgin Mary in the Kingdom of the Divine Will" book, and much more. This scholarly work that is endorsed by 2 Catholic bishops explains in great detail the Era of Peace, and the events leading up to it. Included are commentaries of the Fathers of the Church, the classical and great theologians of the Church, and the writings of the mystics and saints. 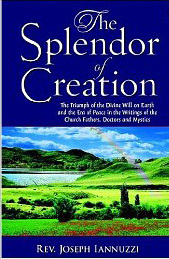 This book will bring greater awareness to the grandeur of God's plan for a New Heaven and a New Earth! Perhaps no Christian prophecy carries with it the drama and intrigue than that of the coming of the Antichrist, history’s quintessential demonic tyrant. His brief but terrible reign is to come at the climax of a spiritually dark age in man’s history. 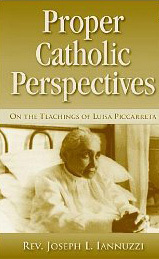 Born in 1865 in the small town of Corato, Italy, Luisa Piccarreta’s life and spiritual journey is now recognized worldwide as one of the most profound stories in the history of the Church. 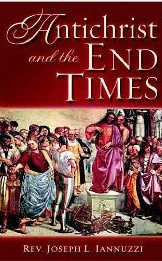 The most authoritative book ever written on the Millennium and End Times. It provides solid answers on one of the most confusing but important topics today. This book removes fear and conclusively shows the error of the "Pre Trib Rapture", and demonstrates the reality of God's Kingdom on earth where Christ will reign but not in the flesh. Based solely on Scripture, Fathers and Doctors of the Church, and approved Church teachings, there is nothing else like this book in existence.